Bart’s Lock is a Licensed and Insured locally owned mobile only Professional Locksmith service business. I provide General Locksmithing Service (Sorry no Auto at this time) for a reasonable price. I specialize in “Safes” openings (lost combination or malfunction), Service and maintenance. I am a one-man shop when a customer calls for service I will be taking the info, giving an estimate and doing the work. I take pride in providing Professional Locksmith Service to my customers. I learned a strong work ethic, integrity and craftmanship from my parents and my friend and mentor R.D. Hobbs. A Locksmiths reputation is paramount to his success so I adhere to The Code of Ethics Subscribed by the Associated Locksmiths of America. Go to link to view Code of Ethics http://www.aloa.org/pdf/ethicode.pdf I am constantly improving and learning about new products and techniques to provide the best service possible for my customers. Bart’s Lock is based in South San Jose, CA. I provide service to the surrounding areas such as. 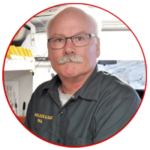 San Jose, Willow Glen, Campbell, Santa Clara, Milpitas, Cupertino, Sunnyvale, Saratoga, Los Gatos, Mountain View, Los Altos, Monte Sereno, Morgan Hill, and Gilroy..
Hello, my name is Paul L. Bartlett I am the sole owner of BART’S LOCK AND SAFE SERVICE based in San Jose, CA. I was born in San Jose and grew up in the East foothills of San Jose. I started working at an early age at my parents manufacturing Business learning a strong work ethic, Dad designed and built the machinery and Mom managed the office and did the Accounting. I graduated from High School and the San Jose Regional Vocational Center awarded a certificate in Construction Technology. After working in the construction industry for 26 years I decided to pursue a career in Locksmithing. I studied Locksmithing at the Bay Area School of Locksmithing located in Redwood city, CA. graduating in 2008. I was fortunate to secure a Locksmithing job at Bill’s Lock and Safe Service in Santa Rosa, CA. I gained a tremendous amount of Locksmithing skill, knowledge and experience working at Bill’s Lock and Safe Service.